Customer reviews are integral to a local business’s success. That’s why it’s so important for business owners to truly understand the importance of customer reviews and how they can use these for the better of the company. When business owners start to dabble with customer reviews, the first mistake they make is believing that Google reviews are the most important because they may rank better than reviews from other sites. They end up solely focus on getting Google reviews, but what about reviews from other platforms? Those actually count, not only for algorithmic reasons, but also because Google, as well as other search engines, sometimes filter or lose reviews. Moreover, review sites syndicate or publish simultaneously their reviews to other sites. Thus, potentially improving your rankings in different search engines. One thing all business owners should keep in mind is that different review sites hold different importance depending on your industry. One review site does not rule all. You’re going to need to research the best reviewing sources your customers are using to locate your services. For example, if you have a moving company, and you want to figure which review sources are best for you, type in Google’s search bar “moving company reviews.” Then study the leading search results (making sure these results don’t include map pins), and click on the “Knowledge Panel” for that business. The best way to access the “Knowledge Panel” is by hovering over each of the results and clicking on the two arrows towards the right that will pop up. When you scroll down the “Knowledge Panel,” you will find links to more reviews. Those are the review sites that Google values the most within your specific industry. Review sites that syndicate their reviews to other sites are way more valuable than review sites that keep the reviews all to themselves. As we mentioned earlier, syndication if very important because Google may count these reviews multiple times in their ranking algorithm, meaning it can increase your visibility and ranking in searches. 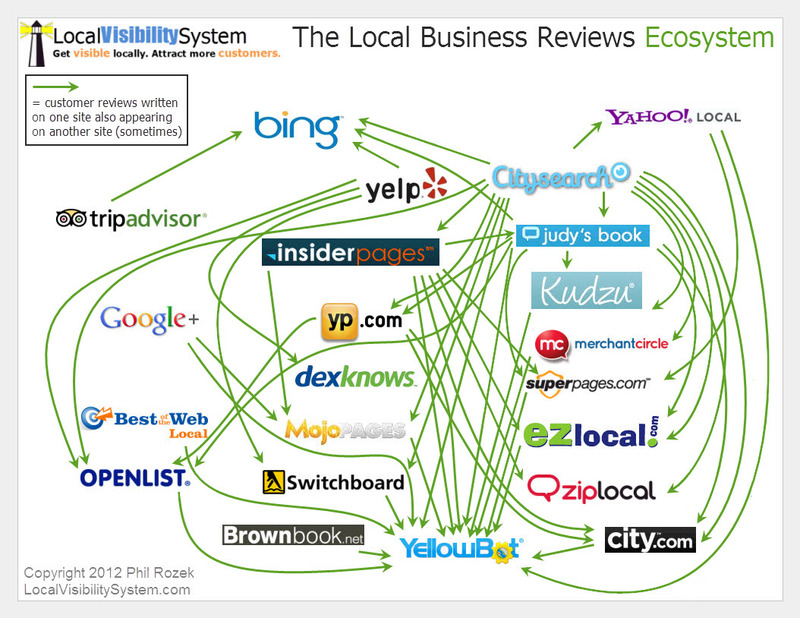 Now, how do you know which review sites syndicate their reviews? Not to worry. We found a useful table Phil Rozek put together, listing this information. 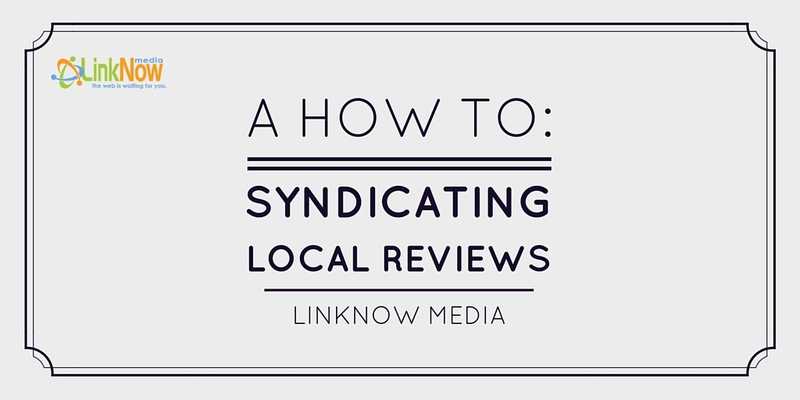 Aside from using other syndicating review sites, business owners should also publish and share their own reviews. As soon as you receive a good review, make sure to share it on your company’s Twitter, Facebook, Google+, and of course, on your company’s website. As you can see, these 3 steps are fairly simple. Get started, and you’ll be on your way to improving the visibility of your reviews and more importantly, of your company.